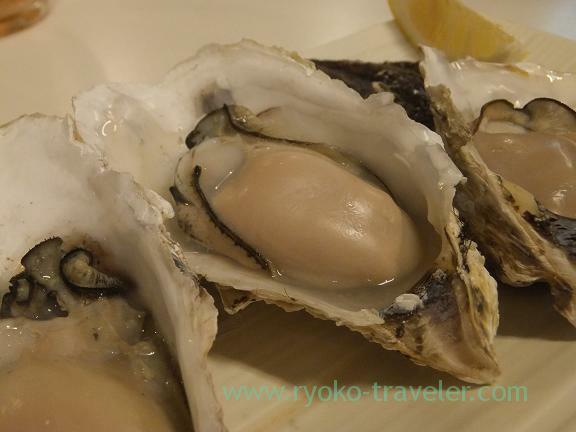 I thought that the best season of oysters is winter, but I learned that we can eat both Crassostrea nippona and Pacific oyster at “Oyster bar” all year around. I had wanted to go to the shop. I’m very happy that my wish came true. 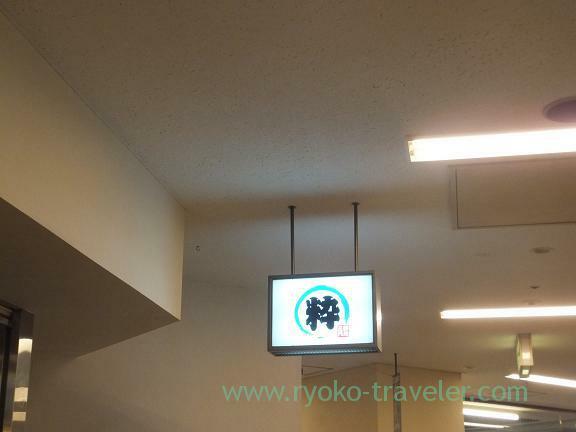 “Chika” means underground in Japanese. As its name, the shop is on the underground in a building. Anyway, we sat down and ordered our drinks. My drink was Japanese sake. Though I forgot its name (because I got drunk heavily), it was tasty. How gorgeous ! Ikura have fabulous looking ! 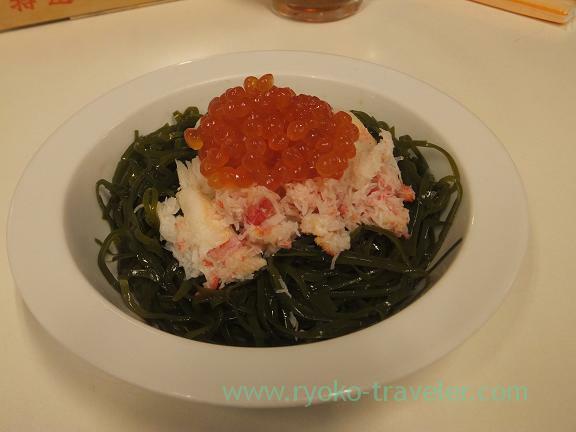 With ikura, every dishes looks gorgeous ! 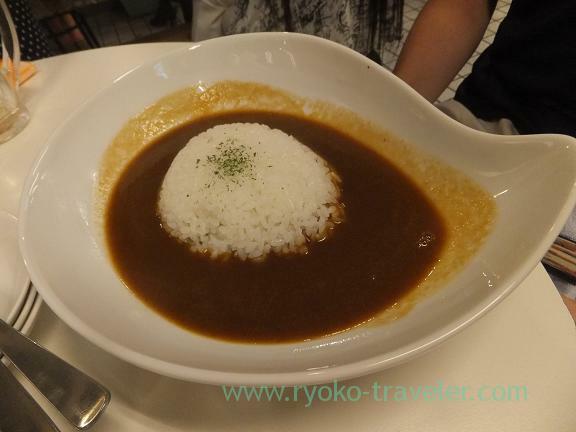 This dish is so popular among people because of its nice looking. 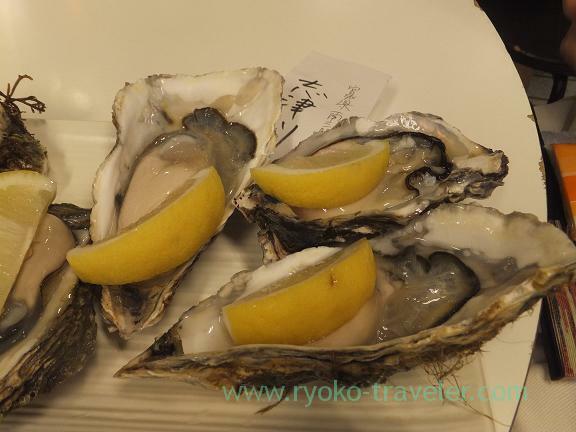 At Chika-no-iki, we can eat oysters that caught in many places. 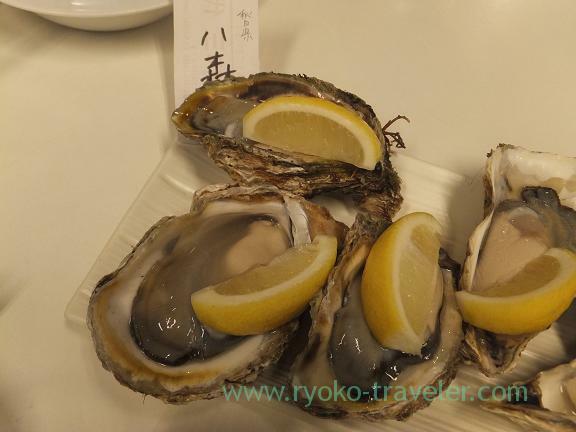 That day, oysters came from Otsuchi, Kashimanada, Noshiro, Choshi, Tsurumi, Amano Hashidate, Ise Shima and so on. It is a valuable set. 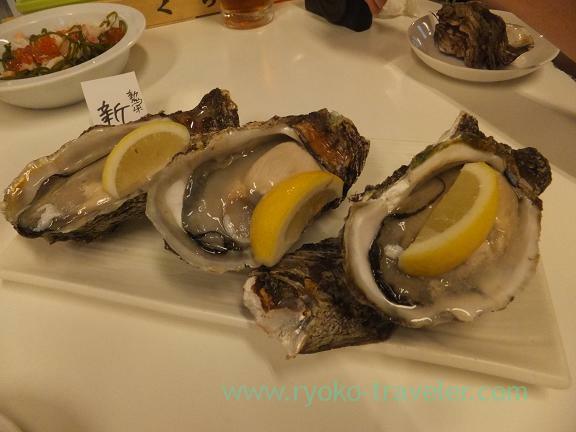 This set have three oysters from some places. 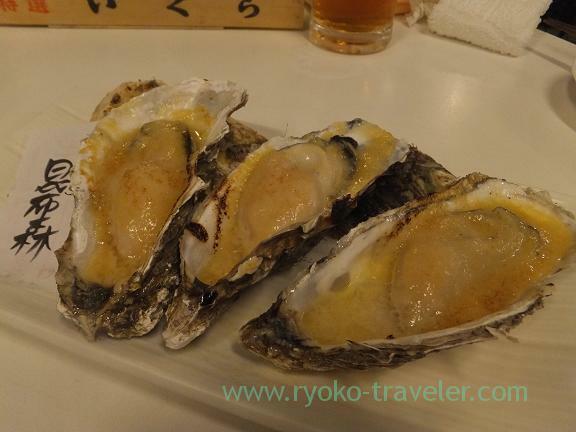 Then, we wanted to eat oysters grilled, so we ordered Shizugawa oysters again. I love saikyo-miso ! 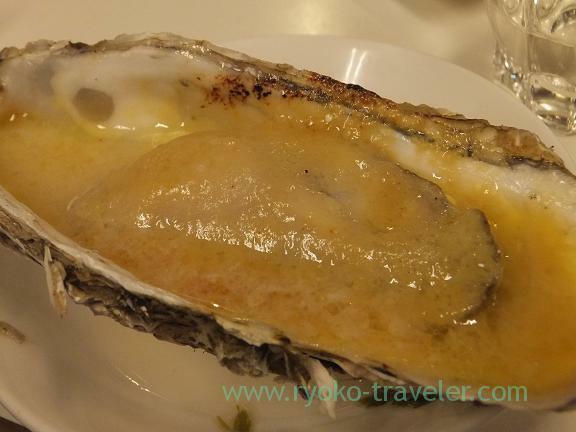 Saikyo-miso go with oysters very well ! Amazing ! Katsutadai : Cute latte art ! I love oysters! Sounds like a nice place, but difficult to find? Not, it isn’t. It is very easy to find ! Thanks 😀 I think oyster is the king of shells all the same.